New research suggests the middle Cambrian Period, once thought to lack plant life, was very green and much like modern-day Iceland. The Cambrian Period (541–485 million years ago) is known for its explosion of life, resulting in the emergence of the first representatives of all modern animal phyla. Scientists for decades, however, envisioned that the land then was comparatively bereft of plant life, with little more than microbial soil crust covering it. That view has since been dramatically revised. The middle Cambrian is now thought to have been rocky, very green, and a lot like parts of modern-day Iceland. 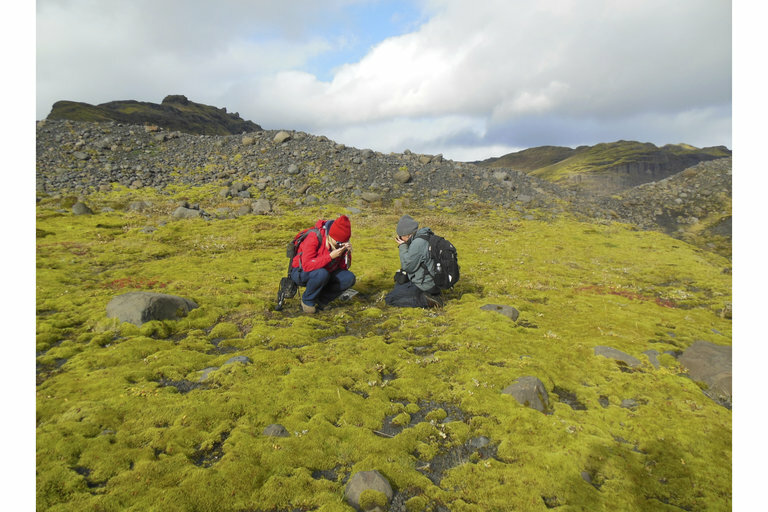 Silvia Pressel of the Natural History Museum in London recently returned from Iceland and told Seeker that many of its rugged "landscapes might appear barren to the untrained eye, but when you consider that this is how life on land probably looked 500 million years ago, it is very inspiring." She added that places like Iceland with seedless plant ground covers "are windows into the past and provide us with unique opportunities to understand how early terrestrial ecosystems might have functioned" and what their impacts were "on both the atmosphere and the terrestrial environment." The land plants that first greened the continents evolved and spread across the globe between 515-473 million years ago, according to the new research conducted by Pressel and her colleagues. The new estimate, reported in the journal Proceedings of the National Academy of Sciences, is significant because it extends the date of this influential event by 100 million years. Plants not only provide food and shelter for animals, but they are also major contributors to the chemical weathering of continental rocks, co-lead author Jennifer Morris of the University of Bristol told Seeker. She explained that this is a key process in the carbon cycle, which regulates Earth's climate. Morris, co-lead author Mark Puttick, Pressel, and their team used a "molecular clock" methodology to overcome prior challenges in establishing a more accurate timeline for early land plant evolution. Fossils for early plants are sparse and only date back to about 420 million years ago, so they do not provide a complete picture of what actually happened beyond that time. The molecular clock technique instead focuses on the average rate at which a species' genome accumulates mutations. "Mainly, we used much more genomic data than ever before to estimate the genetic distance between living species," Puttick told Seeker, adding that he and his colleagues took into account evidence, not only of the presence of land plant fossils, but also evidence of their absence. 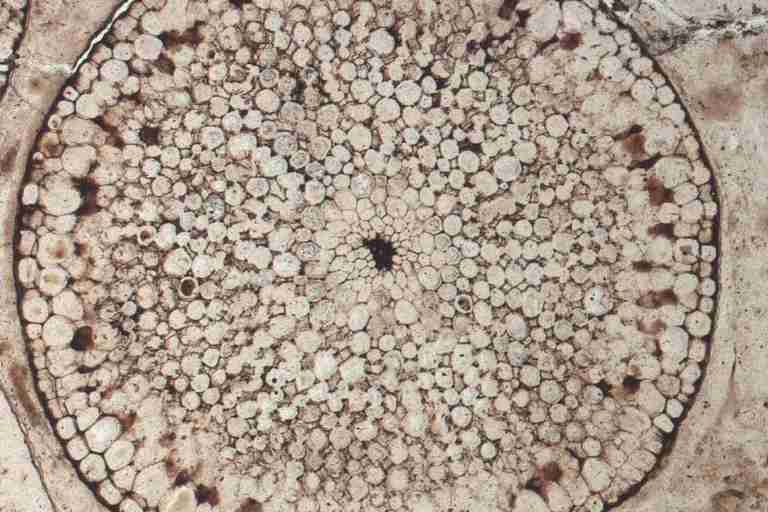 The latter was based on the occurrence in ancient strata of non-land plant fossils with the same fossilization potential. It is believed that aquatic plants preceded terrestrial ones, meaning the last common ancestor of living land plants "would have required water for reproduction, but it would otherwise have been effectively terrestrial," co-author James Clark said. In addition to determining when the first terrestrial plants emerged, the researchers also now have a better idea of what they looked like. For many years, scientists thought that the earliest land plants resembled liverworts, which are small and flowerless green plants with leaf-like stems or lobed leaves. 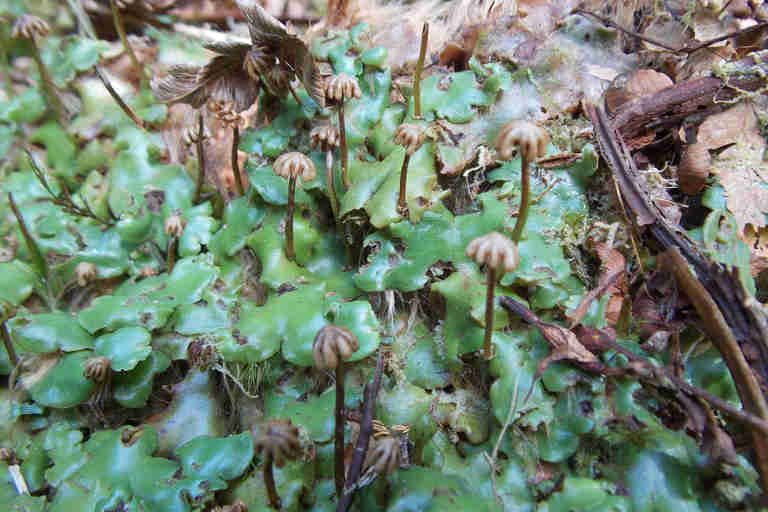 Liverworts tend to occur in very moist habitats. Senior author Philip Donoghue told Seeker that, because of this assumption about liverworts, "huge amounts of time and money have been invested in studying their genomes and developmental biology and physiology, as though they are effectively living museums. This is based largely on the basis that living liverworts lack many of the key features present in all other living land plants, like stomata." The team's new research instead shows that today's liverworts lack these key features because they lost them over evolutionary time. 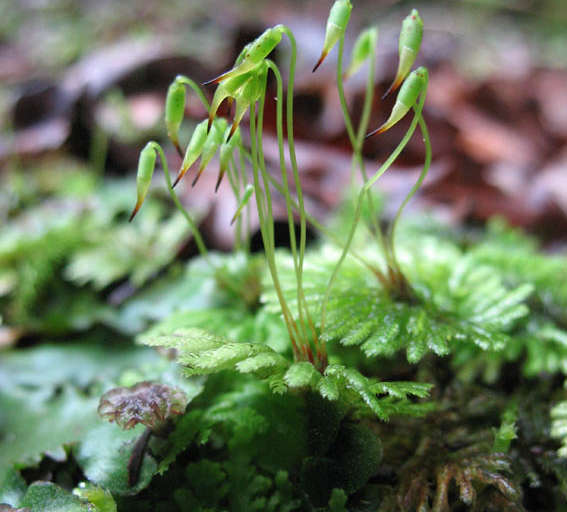 While liverworts were part of one of the earliest land plant lineages, the ancestral terrestrial plant would have been more like moss, they believe. It remains unclear what precise factors led to plants first colonizing land, but Morris said that plant evolution must always "strike a balance between opportunities of open real estate for photosynthesis and enhanced carbon sequestration, while also dealing with the greater challenges of UV radiation, dehydration, gas exchange, and reproduction out of water." It is intriguing to consider that, as plants were first becoming terrestrial, land-based arthropods emerged, according to recent research conducted by the University of Bristol’s Davide. The large phylum Arthropoda includes insects, spiders, and crustaceans. As animal life expanded and diversified after the Cambrian explosion, so too did plants. By the time the first dinosaurs walked the earth about 247 million years ago, plants with roots, stems, and seeds had evolved. Flowers are thought to have emerged much later, at around 140 million years ago. These late plant bloomers, however, have seemingly made up for the lost time. That is because flowering plants have since evolved into at least 300,000 species. They are now estimated as representing about 90 percent of all known living plants. Donoghue said that he and his team are currently studying plant body plans over geological time, to understand how rates of evolution have changed, and to better determine the sequence in which terrestrial plant innovations were acquired. "We are also modeling the climate of the planet deep in Earth's history,” he added, “trying to explore the impact of the origin and evolution of land plants."